LNG Solutions for Large Container Vessels the Focus of GL and IHIMU Joint Development Project. LNG as ship fuel is already a proven alternative for short sea shipping, but what about the primary engine of global trade - the boxship? To investigate and develop solutions for large LNG fuelled container vessels classification society Germanischer Lloyd (GL) and IHI Marine United Inc. (IHIMU) signed an agreement for a joint development project (JDP). 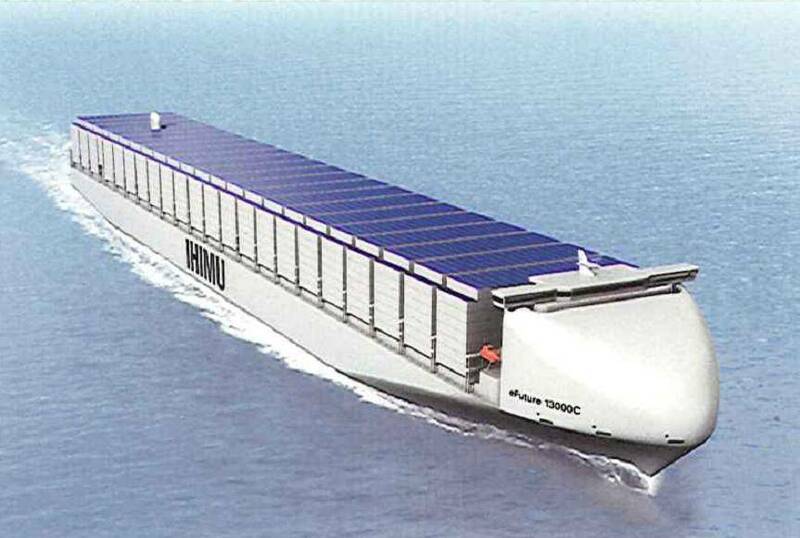 GL and IHIMU will be working together on a concept study for a 13,000 TEU container vessel fuelled by LNG. "IHIMU shares GL's assumption that LNG will be a key technology for addressing the challenges the maritime industry faces in terms of reducing emission to the air and reducing its contribution to global climate change," said Dr Pierre C. Sames, GL Senior Vice President and Head of Strategic Research and Development. IHIMU first launched the eFuture 13000C container vessel design in 2010. At that time GL reviewed the main hull structure. The new JDP focuses on the LNG fuelling system, consisting of the bunker station, tanks, gas preparation and gas lines. IHIMU will design the key structures of the system with GL providing design review, hazard identification and upon the successful completion of the project, approval in principle of the design. Assessment of the safety performance of the gas supply system will be the key aspect of GL's contribution to the project.